Four months after our last trip to Melton Mowbray for the British Pie Awards 2017 Pierateer Rob is heading back to the heart of pork pie country - Melton Mowbray! This time though he's not about to join around 100 judges to rate well over 800 pies from across Britain and beyond. 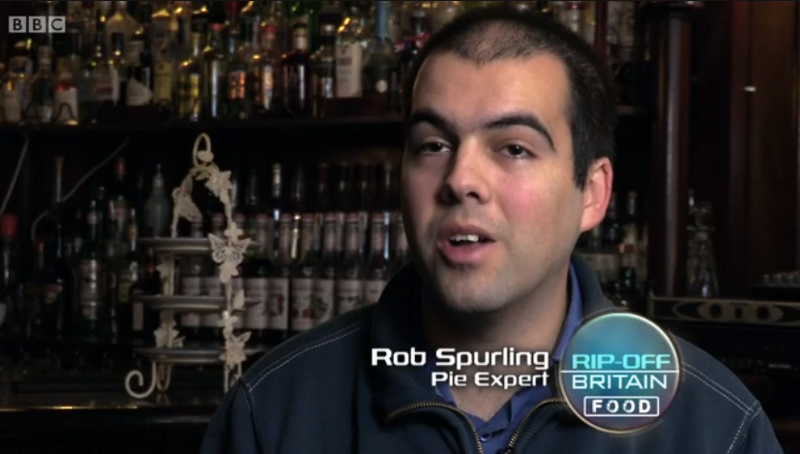 Instead he's one of the guest speakers at UK Piefest, doing a talk on "How to Rate a Pie". 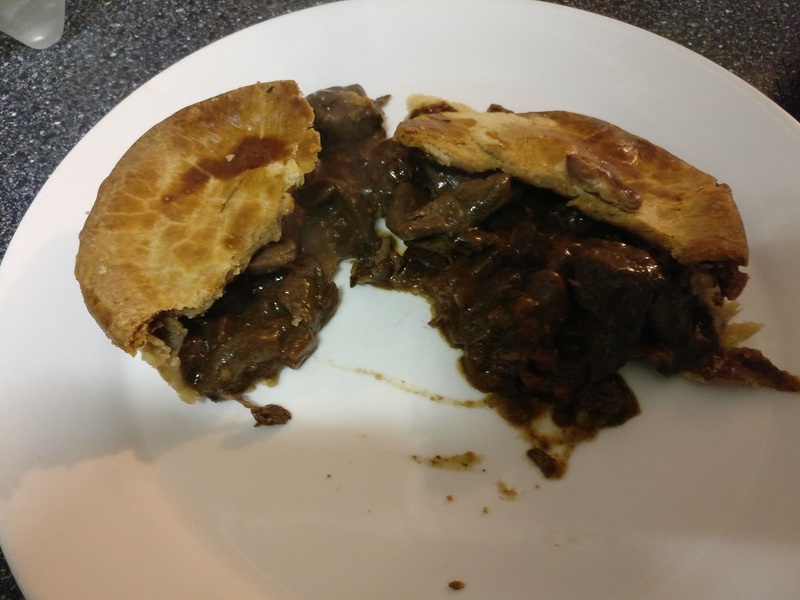 Anyone who knows us well will already know we rate our pies on the 7 Cs of pie rating - our method of reviewing that we have used to rate over 625 pies on Pierate. In fact, we think we've easily reviewed more pies than anyone else, meaning there are very few pie experts with more ex-pie-rience than us when it comes to judging the pie-fect pie! So we look forward to sharing more about the 7 Cs and how we rate pies at the Pie Festival. You can read about everything you need to know prior to UK Piefest in our dedicated article, and check back here during the day for live blog posts below and on Twitter as we look to share the pielights of UK Piefest 2017 - Live! 8.00 It's an early start for Pierateer Rob but he is now on his way to Melton Mowbray for UK Piefest 2017! Having done this journey a number of times now, we know the signal on the trains is a bit intermittent at best, so we'll keep you posted when we can but normal service will resume when we arrive in Melton Mowbray around 10:30am! Pierateer Rob is due to do his talk on "How To Rate A Pie" in the Pie Theatre at 11:30am. 8.50 Did you know Pierateer Rob was on BBC Radio yesterday talking pie?! 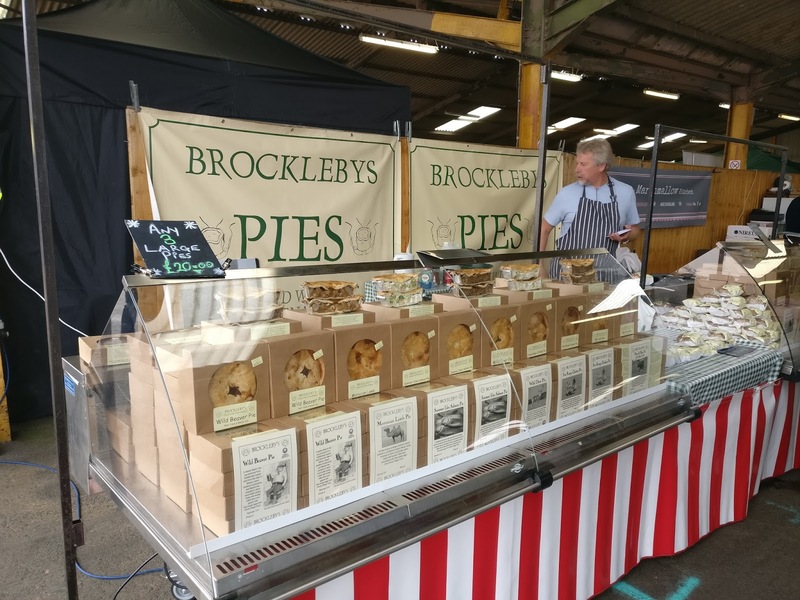 He was interviewed by Martin on BBC Leicester about how to rate a pie, his favourite flavours and his view on the classic Melton Mowbray pork pie! Catch up on it by going to http://www.bbc.co.uk/programmes/p057ql6j and the show on 28/7/17 from 42 to 49 minutes in! 10.15 Just leaving Leicester train station - next stop Melton Mowbray!!! 10.35 So I've arrived in Melton Mowbray (my first time coming for anything other than the British Pie Awards!) Now to not be distracted by pie shops and head to the Cattle Market!! 11.20 Already spotted Brockleby's pies and Great North Pie Co pie stands at UK Piefest! And Neil from Great North Pie Co (a British Pie Awards Supreme Champion winner) is lending me a pie to talk about in my talk! Cheers Neil! The "Pie Theatre" Rob is speaking in! 11.30 Time for my talk on How to Rate a Pie! 12.00 Well that was fun! Always nice to see the stewards having to put out extra seats due to all the people who want to listen! Thanks to those in a crowd who participated and for listening in. My biggest live pie talk to date with about 80-100 people in the audience! 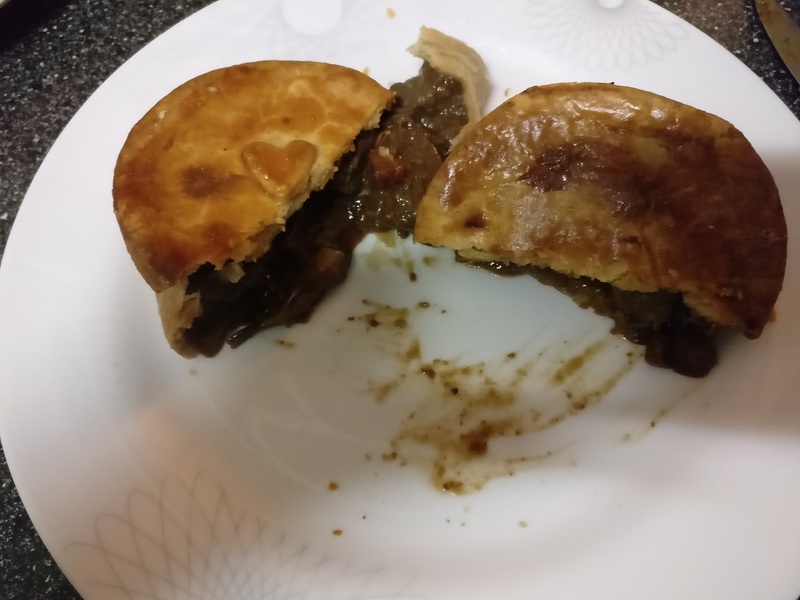 12.25 Currently listening in to Stephen Hallam from Dickinson and Morris pie shop talking about how to hand raise a Melton Mowbray pork pie! 12.30 Stephen has now got 3 amateur bakers up on stage to give hand raising a pie a go! The next generation of pork pie bakers!! 13.00 Next up in the Pie Theatre is 2013 Great British Bake Off winner Frances Quinn! Looking forward to hearing her top pie tips! Meanwhile there's still lots of people piling in! 13.15 Frances Quinn is sharing how to make blueberry cloud-shaped pies in the Pie Theatre right now, including anecdotes from the Bake Off tent! 13:45 Frances Quinn has been chatting to people at the end of her demo. I asked her about the Picnic pie she made in the 2013 final, which she said she's never repeated since the final! Never too late to try Frances! 14.10 We've been hearing a bit more about the Bake Off tent, including how the crew always ended up taking bits home, how hot it was in the tent and how they had to submit all their plans right through to the final when they applied. 14.30 With half an hour til heading to get my train home I've been chatting to a few pie company owners, including Neil from Great North Pie Co and Ian from Rutland Pies. Looking forward to sampling them when I get home!! 15.00 Sadly time to bid farewell to Melton Mowbray but have enjoyed my day out here! If you have not got plans for tomorrow I do recommend you head down. Most of it is inside or under cover and there's great pies and pie talks on offer! Over and out! 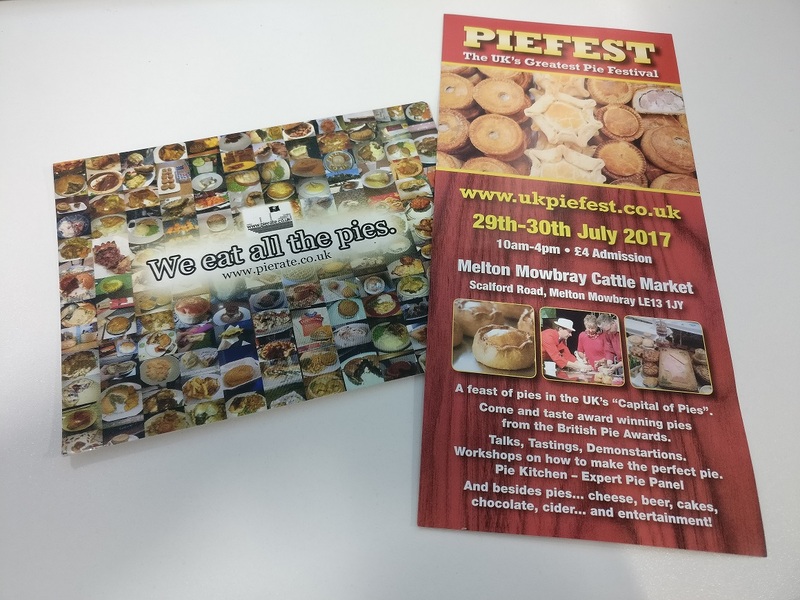 continue reading "UK Piefest 2017 - Live!" 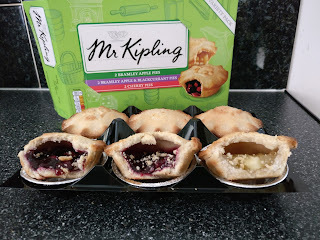 continue reading "Re-rating the Mr Kipling fruit pie box"
continue reading "Will Brockleby’s rock my world?!" 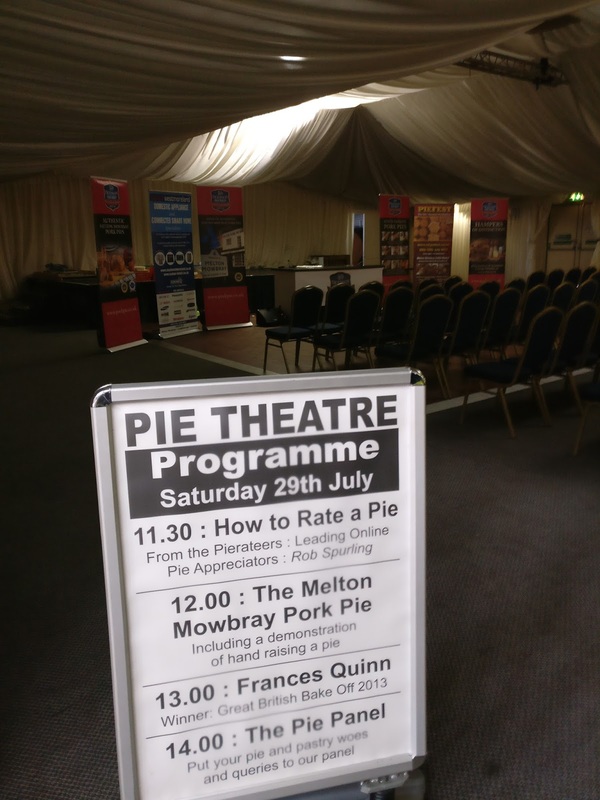 Set up by the Melton Mowbray Pork Pie Association – who also run the British Pie Awards we attended back in March 2017 – in the self-proclaimed “Capital of Pies” Melton Mowbray, this is one big celebration of pie love! You can taste award winning pies from British Pie Awards winners – and more importantly bag some to take home! 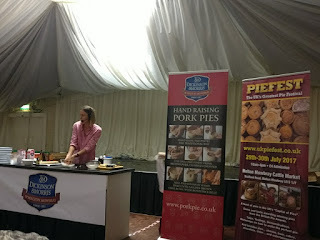 – as well as attending talks and demonstrations on how to make the perfect pie from experts like 2013 Great British Bake Off winner Frances Quinn! There will even be a Questions and Answers session with some of the expert pie makers there, as well as cheese, beer, cakes, chocolate, cider and entertainment! Where is UK Piefest being held? Well apart from all the wonderful pie sellers – many of whom are past British Pie Awards winners – the star baker and demo pie maker is none other than Great British Bake Off 2013 winner Frances Quinn, who you may recall did a stunning Rainbow Picnic Pie in the final! However why we’re quite so excited about UK Piefest is that we have been invited as guest speakers this year, to share our wisdom and ex-pie-rience on “How to Rate a Pie!” Yep, if you don’t know your 7 Cs of pie rating or haven’t heard enough pie eating anecdotes to last a lifetime, join us at 11:30am on Saturday 29th July! (Sadly we can’t make it on the Sunday too.) As well as explaining the 7 Cs of pie rating – what to look for in a top pie – there will be some pie anecdotes including how we ended up being on hit BBC One show “Rip Off Britain”. 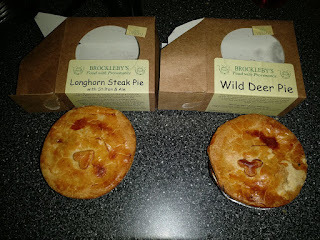 What else can I do at UK Piefest? Well, the pies the limit! 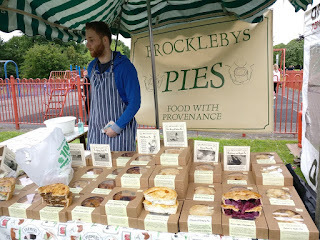 At the very least for your £4 entry fee (or £3 if you buy online in advance) you’ll get tasting samples of some of the best pies known to man, the op-pie-tunity to buy some to take home and more pie based tips, info and trivia than you can fill in a fully encased pie crust! 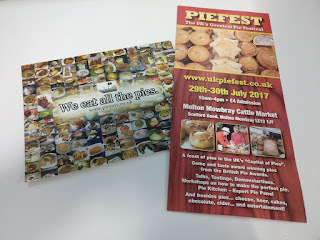 How can I find out more about UK Piefest? Well the best place to look is their website www.ukpiefest.co.uk or give their twitter a follow on @ukpiefest but of course we will be there on Saturday 29th July and give you the low down on both this blog and our twitter @pierateers – so we hope you’ll feel you can join in the ex-pie-rience even if you can’t make it this year! But even better would be to get down to Melton Mowbray for this great celebration of all things pie! 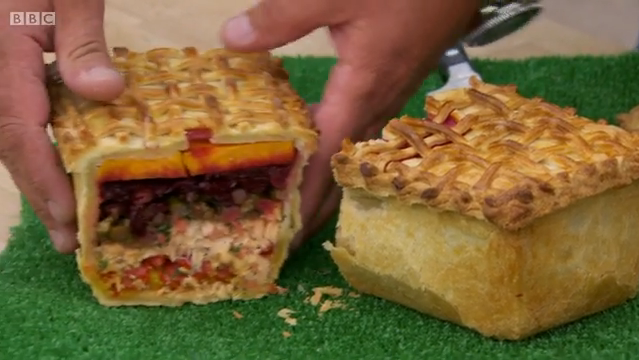 We certainly can’t wait to get our hands on even more top pies while we’re there!! If you have any questions you want answered by Pierateer Rob at UK Piefest, why not leave a comment or drop us a question @pierateers? We’d love to hear from you and answer your questions if we can! Also do let us know if you’re coming too, as we’d love to meet you there! continue reading "Everything you need to know about UK Piefest"